This is the third Thanksgiving of “The Ordinary Life of an Extraordinary Girl”. 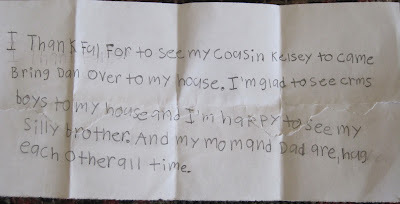 I have shared our thanks in Thanksgiving 2009 and Thanksgiving 2010. This year is no different than the past and we give thanks again. It has been a tough year all around, but we are healthy, happy and growing. It is hard to look at Tom and Alex and not grow melancholy over how quickly they are becoming adults. 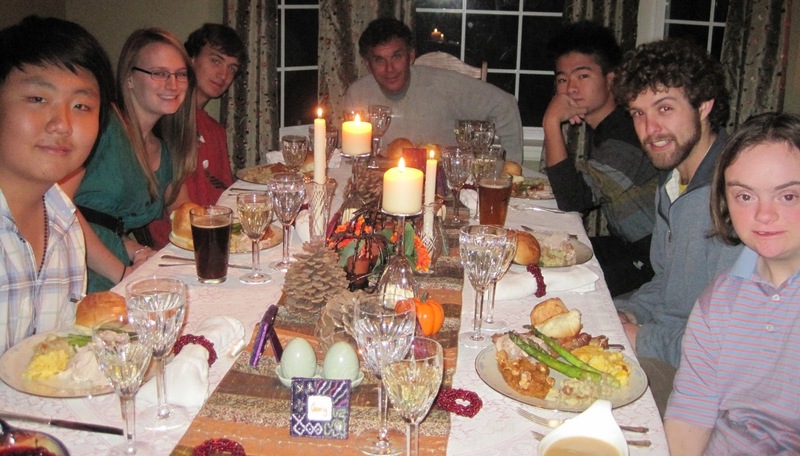 This is the second year of college for Courtney and the second year she has stayed back east to have Thanksgiving with her grandparents, aunts, uncles and cousins. We miss her, but the trip to Colorado for four days is too expensive, and prone to unexpected weather delays. We will see her for a few short weeks over the winter break, but she is grown and so independent. This is most likely the last Thanksgiving we will have in our home. We are not sure where we will be next year, and even if we will be together in the same state. We are working hard at surviving this recession, and concerned about the global economy. Our lives have changed dramatically in the last few years, but our cores have not. Often I wish for those days of stability, but I know this experience has strengthened us as a family and as people. Yes, a thankful melancholy has permeated our season of celebrations. 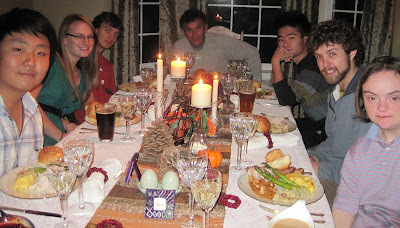 Each year we have been able to host a few international students from the school Tom attends. This year we were joined by two students, one from China and one from Viet Nam. I enjoy sharing our celebration of thanks and the tradition of Thanksgiving with these boys, who are so so far away from home. I shared the traditions of thanks that happen across millions of Thanksgiving tables every year with our guests. I asked our family and our guests to prepare a brief toast of thanks. The toasts were sweet and full of gratitude for the opportunities we all have in our lives. John thanked his unemployment status for allowing him to spend more time with his children and his wife. Tom shared thanks for his family and I shared my thanks for our guests and my family. But once again Alex stole the show. Alex is one of the most grateful people I know. She is appreciative and sincere. She thanks you when you deserve it, and does not participate in idle praise (unless she wants something!). Alex takes tasks to heart and will prepare and practice assignments until she is confident and comfortable. She spent all Thanksgiving on her toast and came to the table prepared. Her heartfelt delivery touched us all. I am thankful for the gifts we have in our lives. The offerings of John, Courtney, Tom, Alex, as well as happiness, health and the recession are our gifts. We are blessed to have these presents, yet the wrapping around the present, the tie that holds this all together is down syndrome and that is the biggest gift of all. Down syndrome has changed each and everyone of us, it is the glue that keeps us together, and helps us grow, accept and learn to live life in different and exciting ways. Thank you today and everyday of our lives. 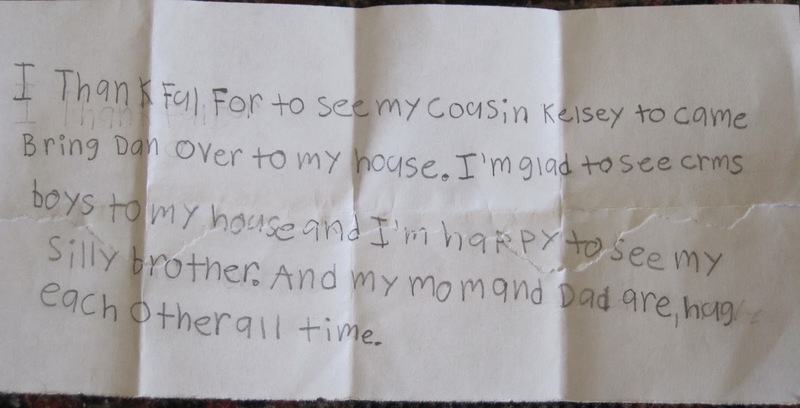 Very heartfelt. My husband's loss of a job kept us in limbo for about 2 years. We left Florida and moved to Ohio. It turned out to be the best move of our lives. We couldn't ask for a better community for us or our children with DS. perfect. I needed to read this today.